The skin is your dog's largest body organ. It is the body's first line of defense against outside toxins and pathogens. 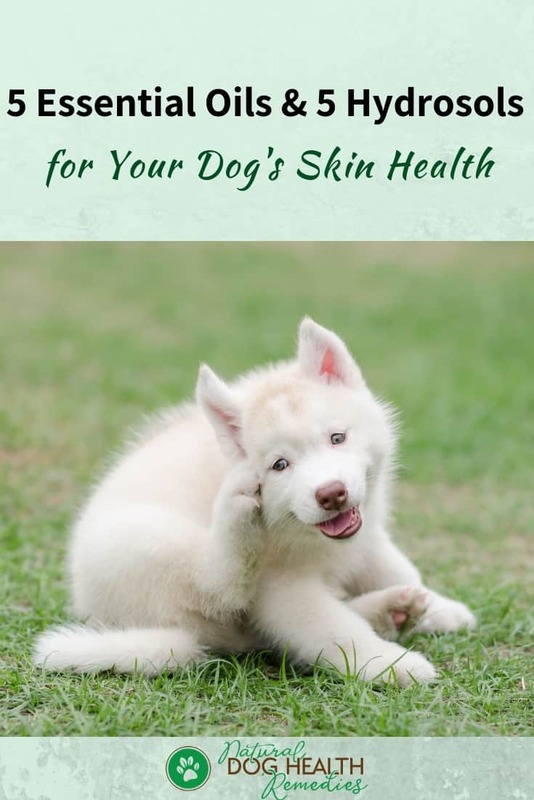 We all know very well that dogs can have an array of skin problems, from the occasional minor cuts and scratches, to bug bites, sunburn, skin infections... The list goes on. While serious cases of skin problems of course warrant veterinary attention, a case of mild skin irritation or minor cut can easily be treated at home, using natural home remedies. This article looks at one such remedies - essential oils and their "cousins", hydrosols. Quite a few essential oils and hydrosols have great therapeutic properties that have an affinity with the skin. 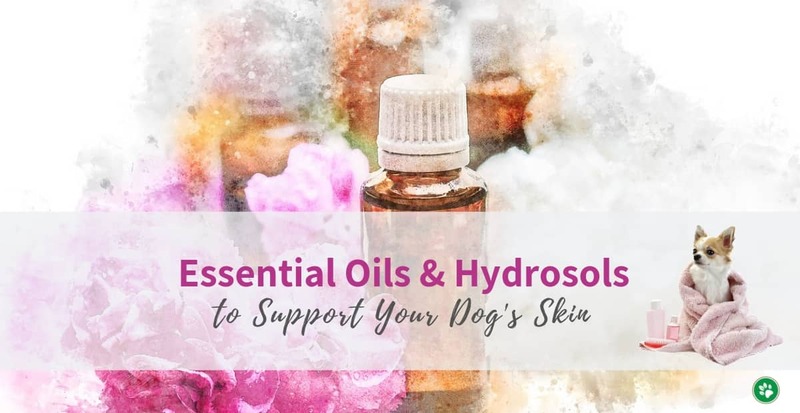 We can harness the healing and therapeutic power of such oils and hydrosols to help treat minor dog skin issues and maintain our dog's skin health. Lavender oil is a gentle yet versatile essential oil. It has powerful antibacterial, antifungal, anti-inflammatory, and pain-relieving properties. So it's not hard to see that it is a great oil for your dog's skin! The good thing about this oil is that, it's so gentle that you can even sometimes use it neat (undiluted) on a dog's skin. For example, a bug bite or bee sting may cause itchiness and skin irritation to your dog. You can apply a drop of undiluted Lavender oil to the site. The oil can quickly soothe the skin and relieve the itching. Or, after removing a tick from your dog, applying a drop of neat Lavender oil to the tick bite wound can not only soothe the skin, but also disinfect the affected area. 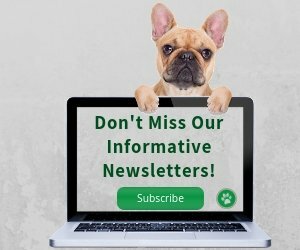 For more use of Lavender oil on your dog's skin, please see my article on Lavender Oil for Dogs. Helichrysum oil is "THE" oil for skin due to its powerful skin and wound healing properties. It is a rather expensive oil but it's good to have at home just in case, especially if your dog is accident prone! Helichrysum oil has antibacterial, anti-inflammatory and pain relieving properties. It heals wounds fast and also has the ability to prevent and alleviate bruising. Bruises: Dilute Helichrysum with a carrier oil such as Sweet Almond oil and apply generously to the affected area. Minor Cuts: Apply a drop of undiluted Helichrysum oil directly on the cut. It will stop the bleeding and help start the healing process. After a few hours, it helps to put a drop of neat Lavender oil on the cut to continue the healing process. Minor Burns: Same as Minor Cuts. Thyme ct. linalol has amazing antimicrobial properties. It is also anti-inflammatory and pain relieving. Like Lavender, this Thyme oil is calming and can reduce anxiety in dogs. The best way to use Thyme ct. linalol for your dog's skin is to use it in a blend, with other skin healing oils, such as Lavender and Helichrysum. It can be used to help heal minor wounds and cuts, and to help prevent skin inflammation and infections. G. Chamomile essential oil is another powerful skin healing oil, especially when combined with Helichrysum. It has antifungal and antiviral properties. Its anti-inflammatory and cooling actions are extremely effective in relieving pain and heat. For example, if your dog has painful hot spots, this oil (diluted in a carrier oil such as coconut oil) can greatly help reduce the heat and pain. G. Chamomile is also effective in helping treat superficial inflammations, such as rashes, insect bites, and burns. Frankincense contains several chemical components that give the oil its anti-inflammatory and pain relieving properties. The oil is also antioxidative, antibacterial, antiviral and antimicrobial. As such, it is a good oil to use for various dog skin issues, such as itchy skin rashes, minor cuts and scratches. When combined with Grapefruit essential oil, Frankincense may help dogs with fatty tumors due to its antioxidative and anti-inflammatory properties. Blend oils in 1 oz (30 ml) Tamanu oil or St. John's Wort oil. Apply to minor cuts and wounds to help speed up healing. Some dogs, especially small dogs and puppies, are too sensitive to the aroma of essential oils. They wouldn't want anything to do with the oils! And sometimes, for some dog skin issues (such as extremely dry and sensitive skin, eczema, etc. ), essential oils could be a bit "too much" for the skin to handle. In such cases, I would recommend using hydrosols. Below you will find five hydrosols that are excellent for supporting your dog's skin health. They are gentle (all hydrosols are gentle! ), easy to use, and effective. 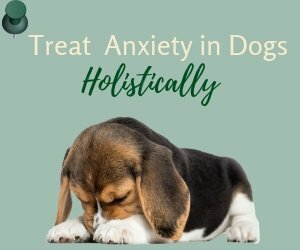 While Tea Tree oil could be too strong for some dogs, the hydrosol of Tea Tree is mild and gentle and can be used even on small dogs and cats! help clean and treat yeast infections on the skin or in the ear. Note that Witch Hazel hydrosol is not the same as the Witch Hazel solution that contains alcohol sold in drugstores. The hydrosol doesn't contain alcohol and is gentle on a dog's skin. Witch Hazel has powerful pain-relief, antiseptic, and antioxidant properties, and can be used to clean wounds and soothe bug bites and stings. And since Witch Hazel hydrosol contains no alcohol, it won't sting your dog's skin. For itchy and sensitive skin issues, such as rashes and eczema, you can use this hydrosol to make a compress and apply to the affected areas. Like the essential oil, the hydrosol of Lavender is also great for supporting and enhancing our dog's skin health. It has strong antimicrobial and antiseptic properties, yet it is safe for use even on puppies, cats, and babies! You can use undiluted Lavender hydrosol to make a compress for minor burns on your dog. Try using a Lavender hydrosol and 3%-hydrogen peroxide blend (25%:75%) to wash minor cut or bite wounds. For salt damage of paw pads from melting winter ice, after washing the pads in clean water, spritz pads between toes and lower legs with Lavender and Tea Tree hydrosols in equal parts. Yarrow hydrosol is anti-inflammatory, antibacterial, anti-itching, and antiseptic. It is great for skin rashes, eczema, hot spots, acne, and other itchy skin issues. You can make a cool compress and apply it to affected skin areas, and you can also make a skin spray (dilute to 50% with distilled water) for skin lesions, eczema, etc. Just like the essential oil, the hydrosol of Helichrysum is anti-inflammatory and skin healing as well. It is good for bruises, minor wounds and cuts. It promotes and speeds up wound healing and reduces swelling. For bruises, minor cuts and scrapes, make a compress and apply it to the affected area. For paw problems (e.g. cuts on the pads from gravel, etc. ), make a foot soak or compress with 60% Helichrysum hydrosol and 40% Lavender hydrosol. 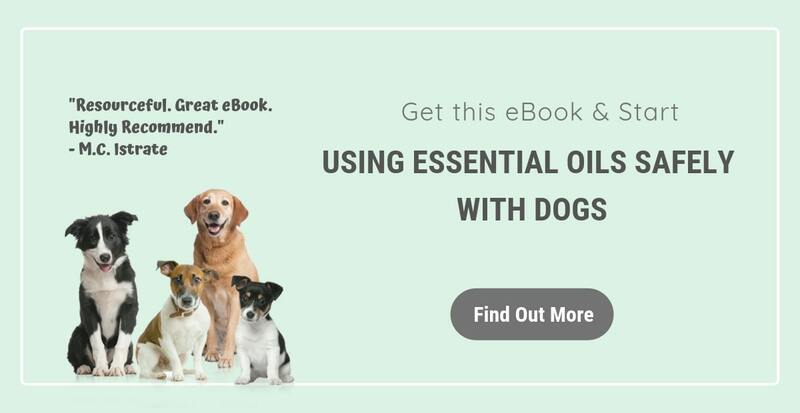 While hydrosols are extremely safe for even small pets, essential oils are different and we have to exercise more care and caution when using them on our dogs (e.g. do patch tests, avoid applying oils to the face, etc.). 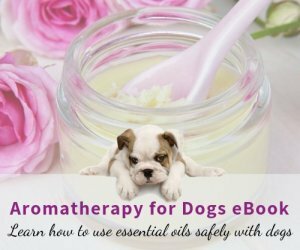 For more general information on how to use essential oils safely with dogs, read this page.